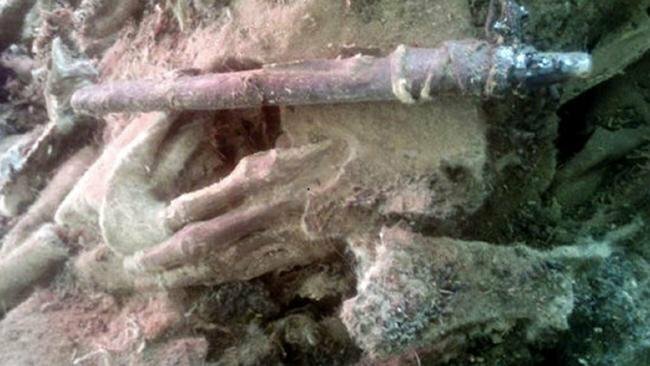 Archaeologists from Khovd Museum in Mongolia have discovered a unique mummy makes many netizens astonished. What was the reason? 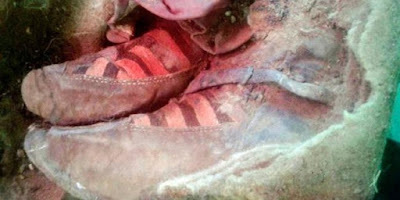 When it found, the mummy wearing 'Adidas' shoes. The mummified remains were found at the height of 2,803 meters (9,196 feet) up in Mongolia’s Altai Mountains. The mummy, thought to be a native Turkic female, is estimated to be over 1,500 years old. Its discovery was prompted after local herdsmen stumbled across the grave and alerted the Khovd Museum. From the tomb as deep as 3 meters where the mummy is residing, were also found to saddle, bridle, clay vases, wooden bowls, iron teapots, and the bones of a horse. The most interesting was a pair of shoes that wore by the mummy. At a glance, the shoes shown the 'three stripes' of the iconic brand of the German's shoe manufacturer Adidas, and instantly make the archaeologists astonished. Many netizens who are shared the photo of the mummy leg on the Internet, and many of them speculate or wondered if the mummy in her lifetime was a woman who came from the future and travelled into the past or known as the time traveller. How could it be? What do you think? 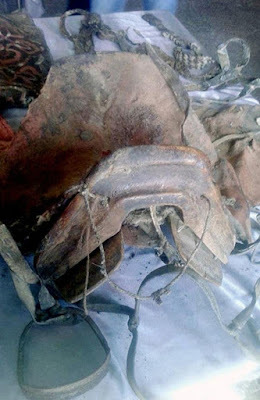 Apart from the 'conspiracy theory' of the Adidas shoes, and that surely the mummy is the discovery of the first tomb of the ancient Turkic nations in Central Asia. This tribe is known lived in the area that is now called the Mongolia since 600 years before Christ.